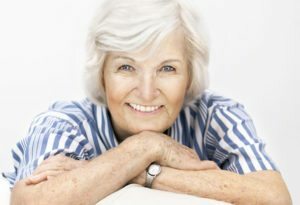 Many of our patients look back on their decision to improve their smile using dentures and are so happy they made that choice. If you’re considering dentures, our Omaha dental team is here to answer any questions you have. Dr. Semerad will be with you every step of the way! At Legacy Dental, we provide customized denture services to help meet the lifestyle needs of our patients. Everyone is unique, so we work diligently to create one-of-a-kind dentures that feel natural and give you a beautiful smile. Dentures are natural-looking, removable replacement teeth. At Legacy Dental, we offer both full dentures and partial dentures. Schedule Your Consultation With Dr. Semerad Today! If you want to know if dentures could be the right solution for you, give our local Omaha dental practice a call. We’re always happy to answer any questions you have about dentures or any of the other services we offer. 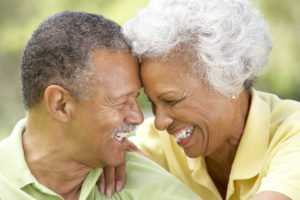 A consultation with our team at Legacy Dental is the perfect way to answer all of your questions and determine if dentures could be the best solution for your smile!